Home » hair growth » hair transplant » hairstyles » hairstyles for fine hair » hairstyles for women » natural hair styles » short haircuts » short hairstyles » wigs » Clip-in Hair Extensions - Beautiful Result or Advertising Hype? Clip-in Hair Extensions - Beautiful Result or Advertising Hype? What are clip-in hair extensions and how are they attached? Clip-in extensions are perfect if you want to turn your hair into beautiful flowing locks instantly. But, of course, on the down side, they have to be removed at the end of the day. So clip-ins are good for a party, a special date or just whenever you want to look different for a few hours. They are much cheaper than salon-made permanent hair extensions. Another advantage is that clip-ins don't damage your own hair in any way. Quality hair extensions are several strands of hair, each attached individually. 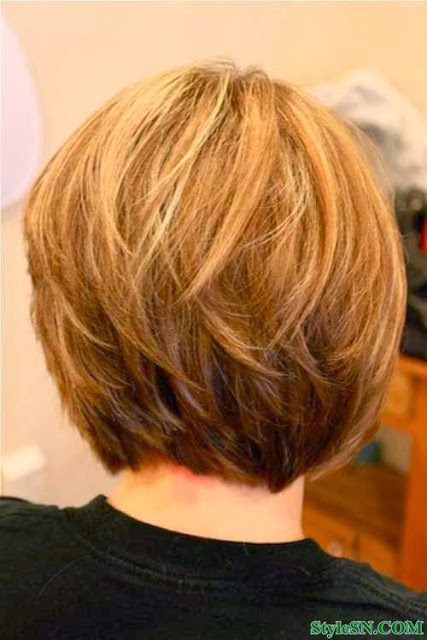 Usually 3- or 4-inch wide pieces go on the back of your head in several layers, and a few 1- or 2-inch wide pieces are put on the sides. As the name suggests, each strand is attaché to your own hair with a clip. With a little bit of practice, clipping the extensions in becomes rather easy and takes only a few minutes. Taking them off is even easier. You can usually find 14", 16" and 18" clip-in extensions. Anything longer puts too much tension on your own hair. Clip-in extensions are suitable for people whose natural hair is shoulder length or longer. If you have medium length hair, extensions can make it longer. If you have long but very fine hair, or your hair is not in its best condition, clip-in hair extensions are a great way to bring richness and fullness to your hair. However, clip-in extensions will not work for women with very short hair. Extensions only look natural when they are mixed in with your natural hair, so if your hair is short, people will notice that you are wearing extensions. If you have a short haircut, but are dying for long locks, buy a wig that is similar in color to your natural hair. High quality designers wigs look very natural - nobody will guess that you are wearing a wig unless you tell them. If a wig is not for you, then you can go for salon-made hair extensions that are braided or glued to your own hair. These stay in for several months, but cost significantly more than clip-ins. It depends on the quality of extensions you get. First, you should know that hair extensions can be made from natural human hair or from synthetic fibers. I will be honest: synthetic hair extensions are cheap, but you get exactly what you pay for. They just don't look right. High quality human hair clip-in extensions, on the other hand, look like they grow from your own head. If you look online, you will find many brands of clip-in extension. It is best to go for a well known maker of hair-pieces and extensions, such as Diva in a Box, PutOnPieces or Raquel Welch. See pictures of clip-in hair extensions (will be a link) from different brands. Since the extensions are mixed in with your own hair, color matching is very important. And the good news is that human hair clip-in extensions can be colored to match your own hair color exactly. However, I wouldn't recommend doing that at home - it is better to color your extensions at the salon. You can also use hot iron on the human hair extensions to curl them a little. Clip-in hair extensions can be real fun. They will help you to create a different image instantly, which is very important for a busy modern woman.